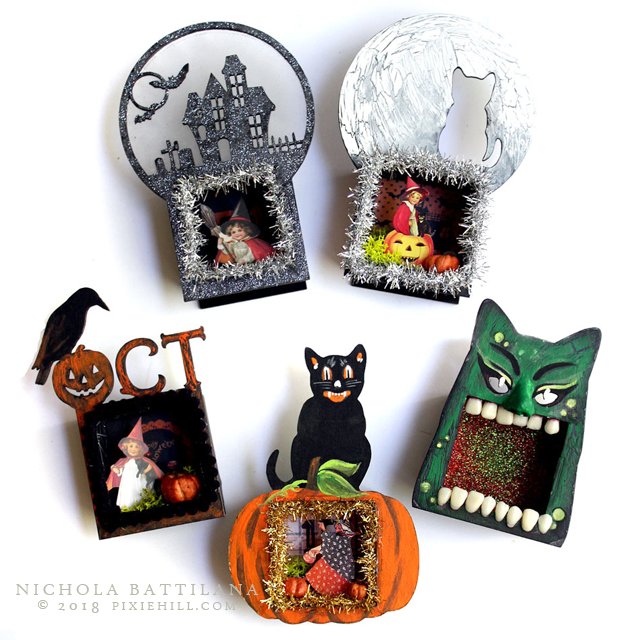 Before I jetted off across the pond I was playing with these 5 Halloween mini shrines from AlphaStamps. I went a little mad scientist and used a few different techniques on the wee things. 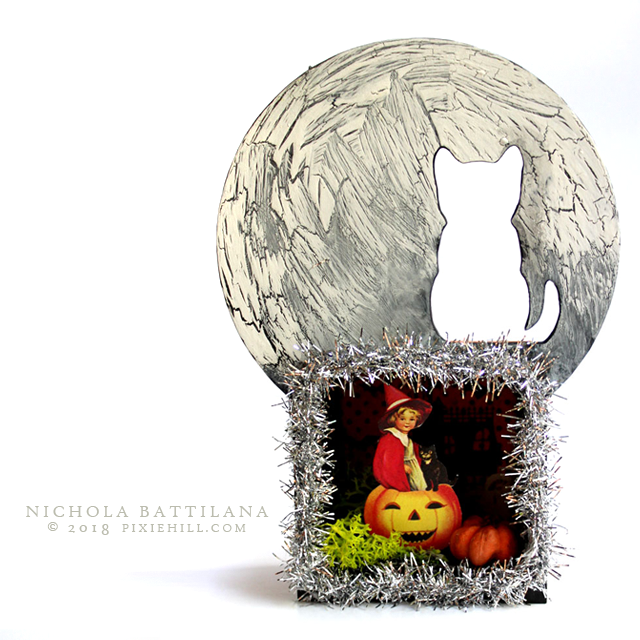 I used everything from a simple crackle glue finish (instructions here) to a glitter smothered facade. 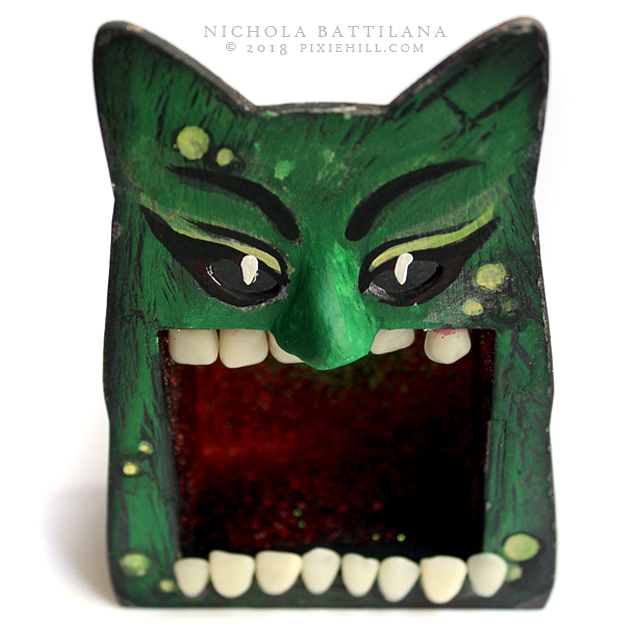 The Cat on Pumpkin Mini Shrine was painted in a vintage halloween style, and the Big Cat Mini Shrine was turned into into a toothy monster. I think that both the simple finishes and painterly pieces look spookadellic and despite not being completely matchy-poo look well grouped together. Note: that nose? A lump of paperclay applied and dried to the chipboard before painting. Let the Happy Haunting begin! Those little fake teeth are a great touch! How fun. Just love them. 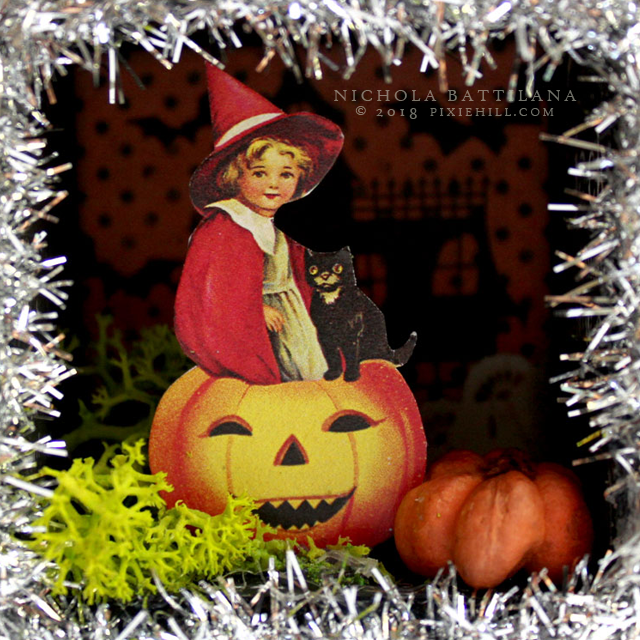 hawling & spooky - just back to your home and already Halloween goodies. WOW. Thanks so much for all the photos on instagram I felt like I was traveling out of my daily routine with all the great shots. Welcome Home! 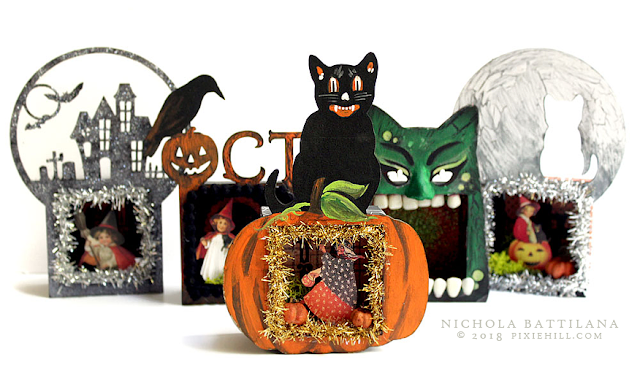 Love these Nichola! My favorite season and holiday!!! And you always create wonders that give All Hallow's Eve a very inspired twist!